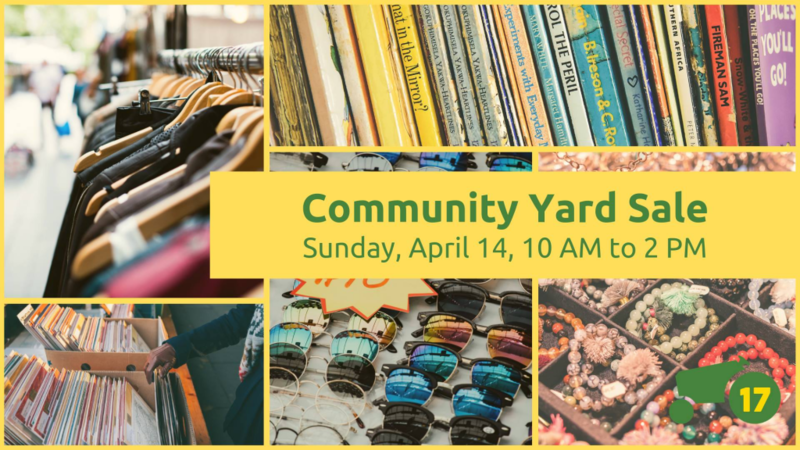 Celebrate Earth Month with a Community Yard Sale at the 17th Street Market! The Community Yard Sale provides a venue for members of the RVA community who are looking to sell items they no longer have a use for, but who might not have the space to do so (for example, those living in apartments). As a seller, a community yard sale is an excellent motivator and opportunity to do some spring cleaning. As a buyer, it’s a great place to discover rare finds, shop in a community market space, and join in fellowship with neighbors!